Heart of Los Angeles (HOLA) is an educational program mainly focused on underprivileged youth musical training to better address the needs of our youth and their families. 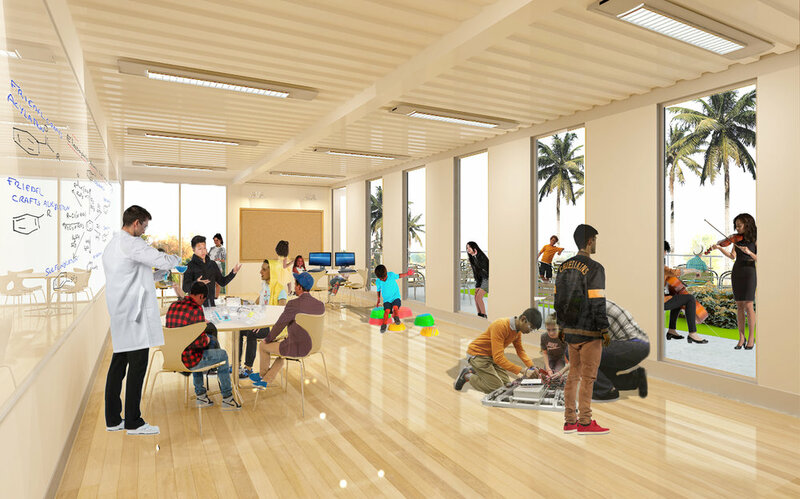 The new HOLA Facility in Lafayette Park will also house the Youth Orchestra of Los Angeles (YOLA) with a new Ensemble Room Opening up to the park for public performances. Built from shipping containers the new HOLA building will include one large ensemble room, two small ensemble rooms, 18 classrooms, four smart start club rooms, and five offices. The ensemble room will open into Lafayette Park for large performances.